FBI Director Robert Mueller is expected to undergo tough questions today as he nears the end of his 12 years at the helm, the Associated Press reports. 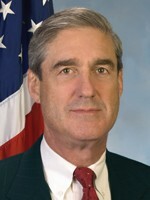 In what likely will be his final appearance before the House Judiciary Committee, Mueller likely will be grilled about the Boston Marathon bombings investigation, the Benghazi attacks and the recent disclosure of massive government surveillance on millions of Americans. “Over the past few years, we have witnessed troubling national security leaks and have learned that the Obama administration seems to be bending the rules in place that protect the freedom of the press in its investigations,” the committee’s chairman, Rep. Bob Goodlatte, R-Va., said. Posted: 6/13/13 at 8:50 AM under FBI, News Story. They should call you Minnesota Fats for the spin you put on this story, eh? Down here in the whisper stream we learned long ago about the dossiers FBI agents keep on members of Congress. FBI agents Blackmail Congress? Nah?